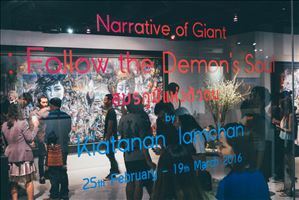 The Acrylic on canvas painting of Kiatanan Iamchan is the Thai contemporary art are expresses concept and emotion of living in both positive and negative ways also attached the vision and instruction of the Buddhism for the mental thought. 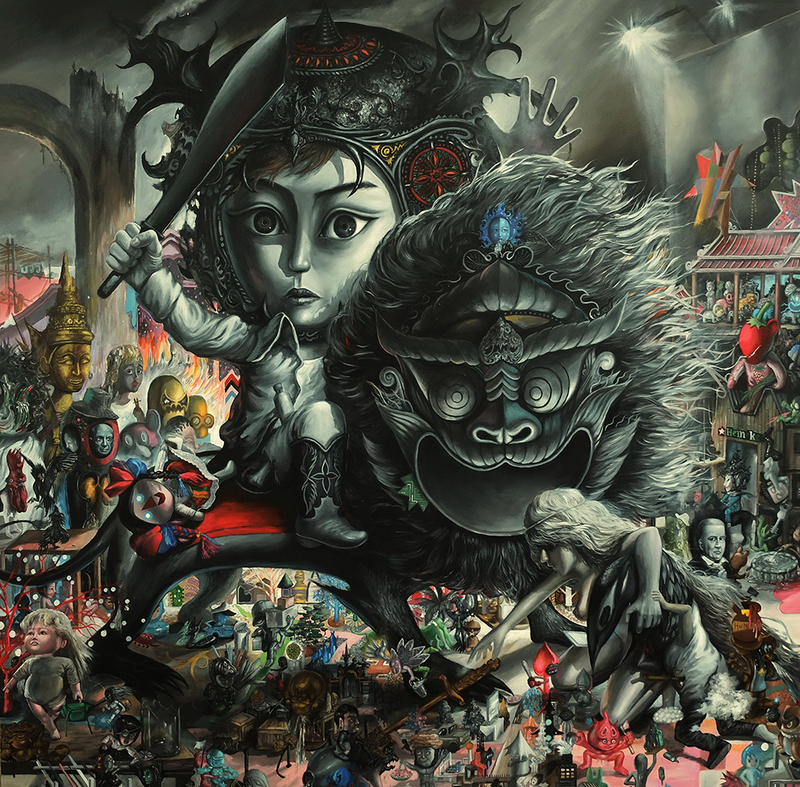 His artwork considered as a subjective belief by drawing a semi-cartoon mixed with semi-realistic and a superstitious stories which tells that he has a fancy thought and imaginations and most importantly, his artwork were inspired by the mural painting in many temples of Thailand. 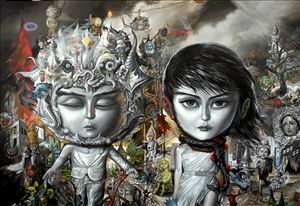 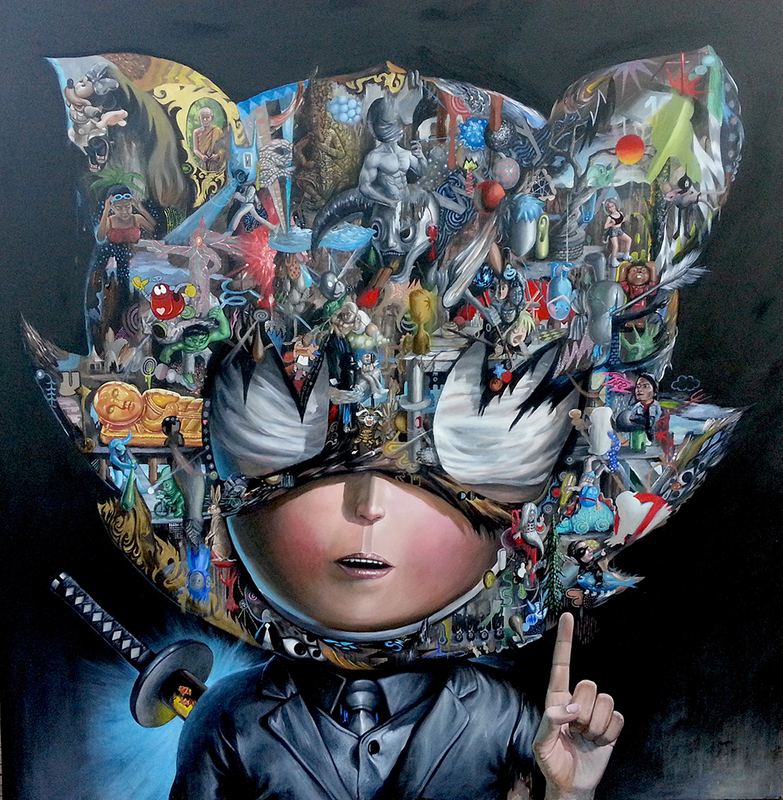 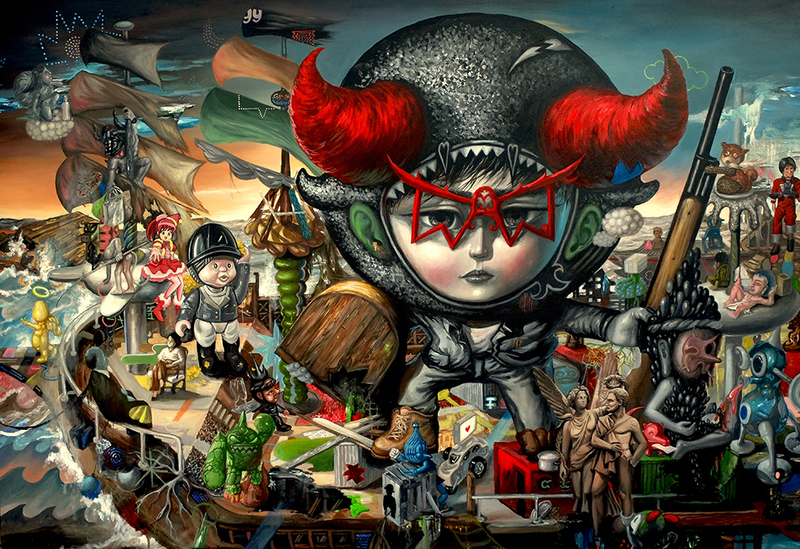 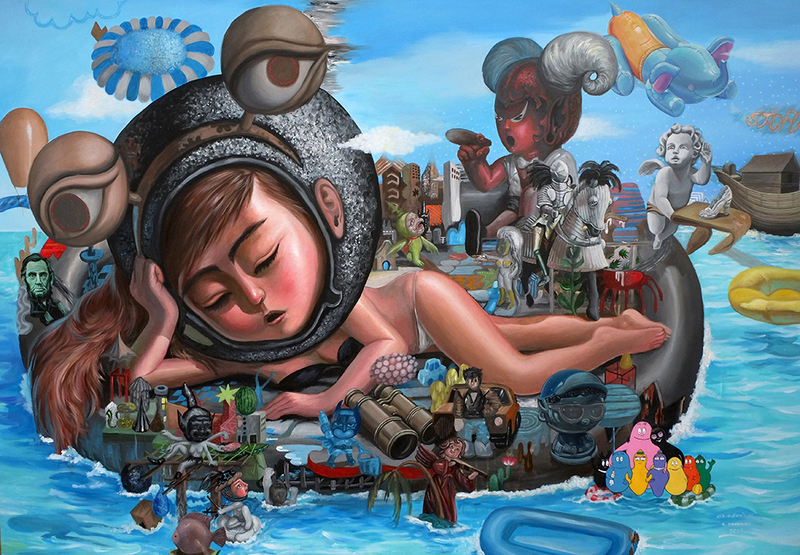 His artwork has a unique identity, which are mixtures of the story and plot and some pattern that is inspired by a wall-artwork such as how people dress, accommodations. 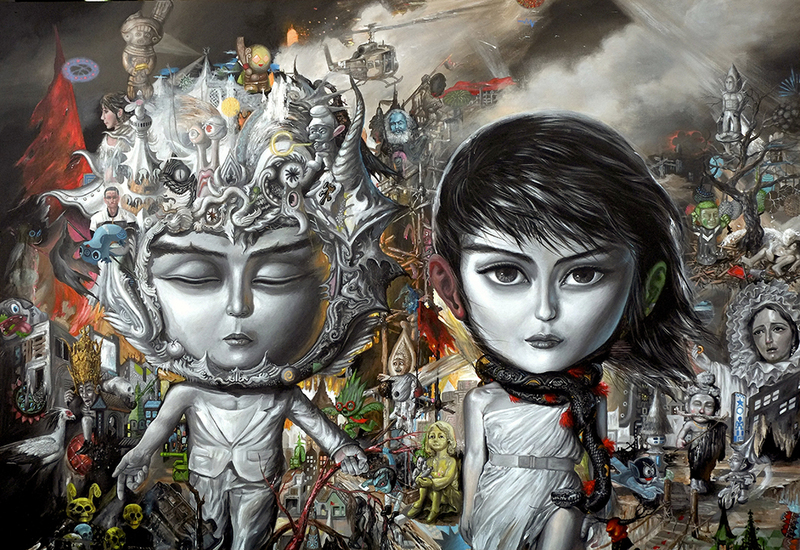 Even the period of time seems to be mixed between past, present, and future. As a result, his art work will looks like it has it own very long legends and stories but it still always contain the freshness of the emotion. His life experience inspired himself to focus on the express of emotions in the artwork and shaped facial expressions of a character mixed with the human’s belief that reflect out the thought and emotions. 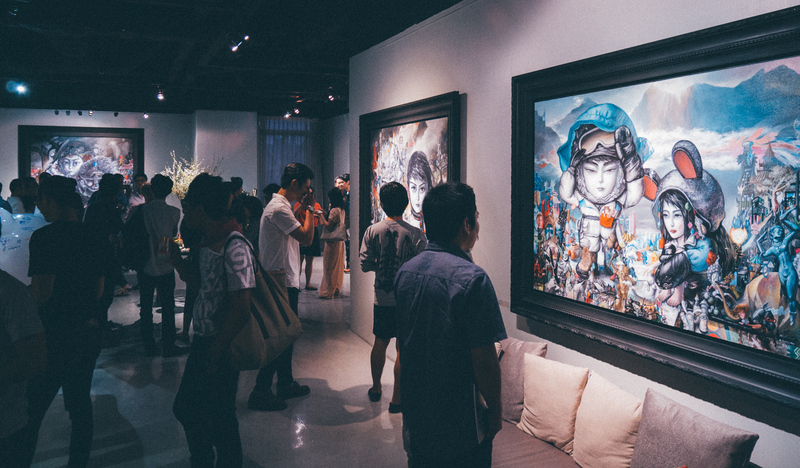 Therefore, in different artwork will have a different contents depends on the vision of the artist himself. Follow the Demon’s Soul is the newest exhibition that the contents were continued from the exhibition “Narrative of Giant” which have been fully exhibit by Number1Gallery at the Singapore Art Stage 2015 (Marina Bay Sands Convention Center, Singapore) It was a very successful debut for Kiatanan Iamchan to the international stage and it has an outstanding feedback from the international collectors. 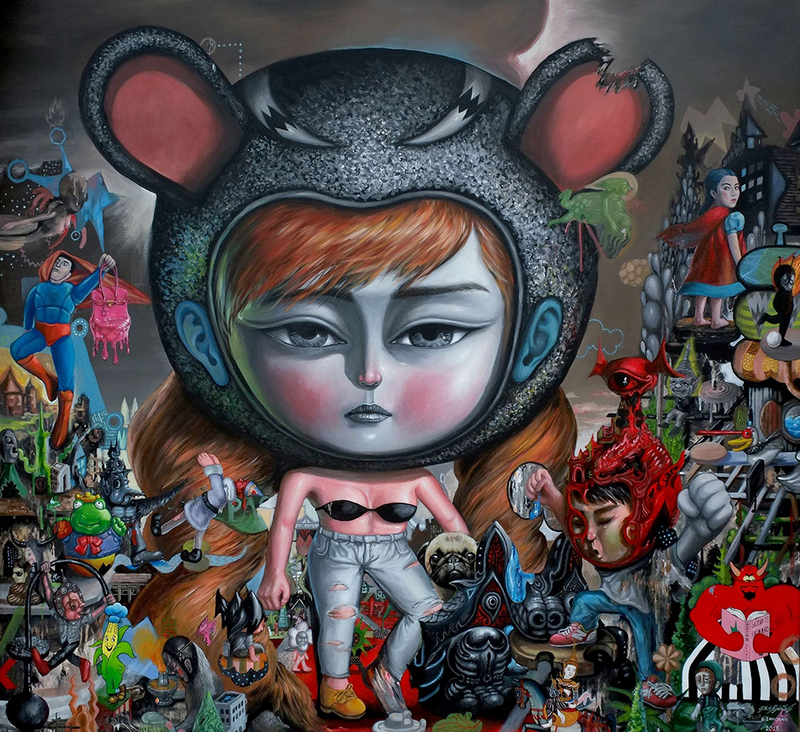 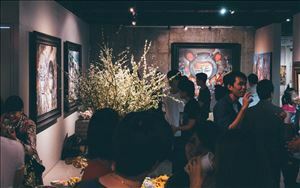 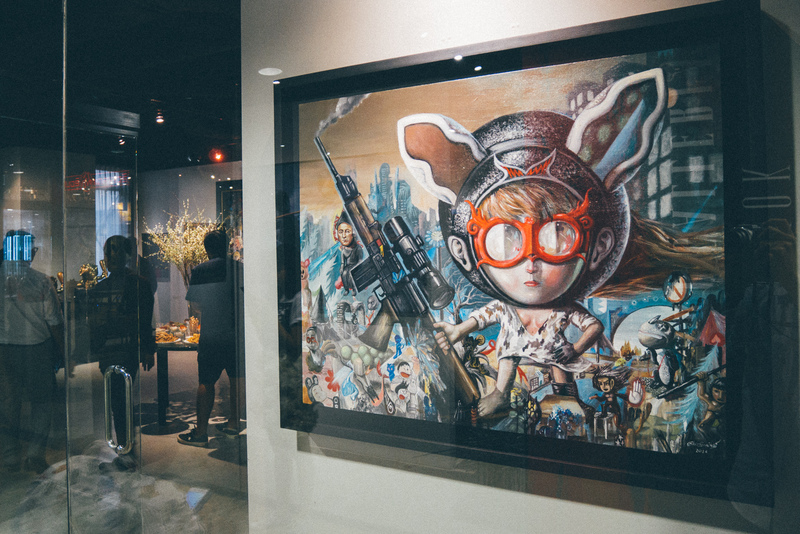 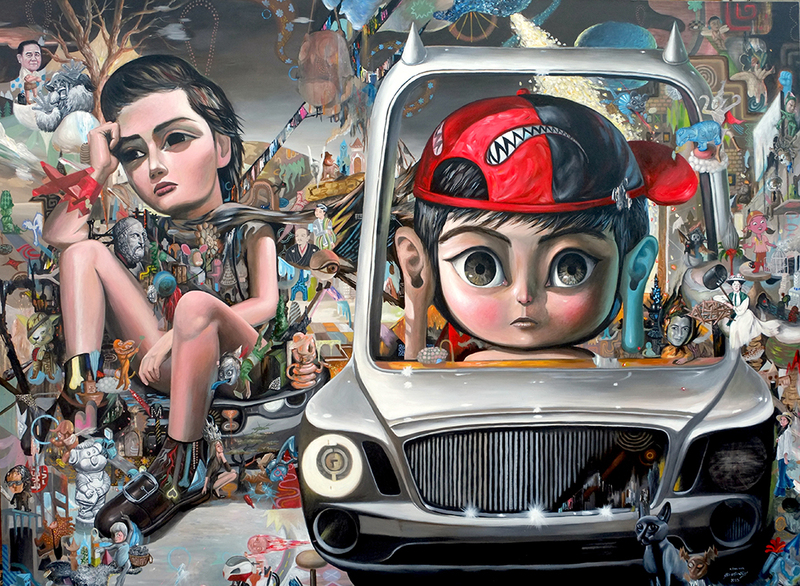 Previously, the artist have been exhibit with Number 1 Gallery since 2007 in the exhibition named “Parallel Universe” it can be see clearly that the artist has a unique artwork since then until now and can showing upon international stage. 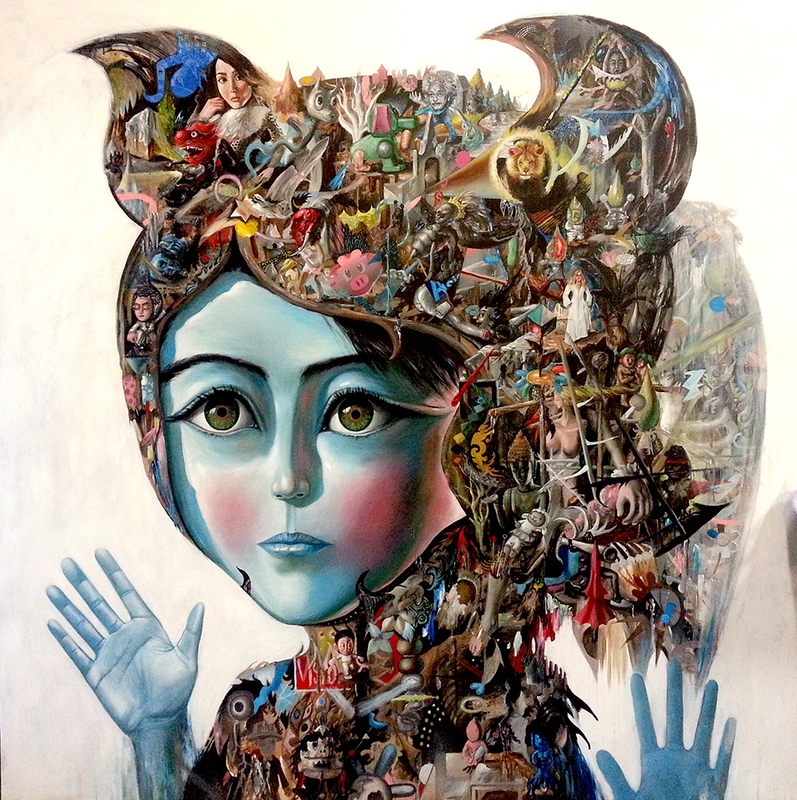 Kiatanan Iamchan Emerging artist from Lopburi province graduated Bachelor and Master degrees from the Faculty of Painting Sculpture and Graphic Art from Silpakorn University. 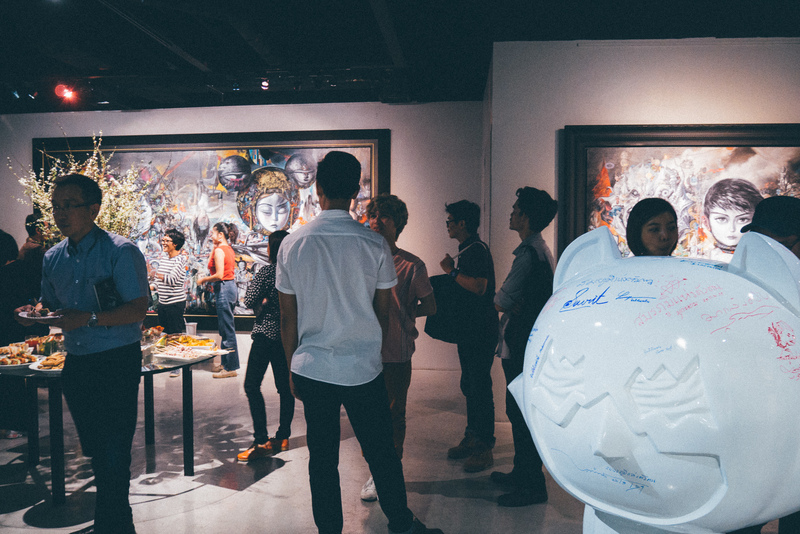 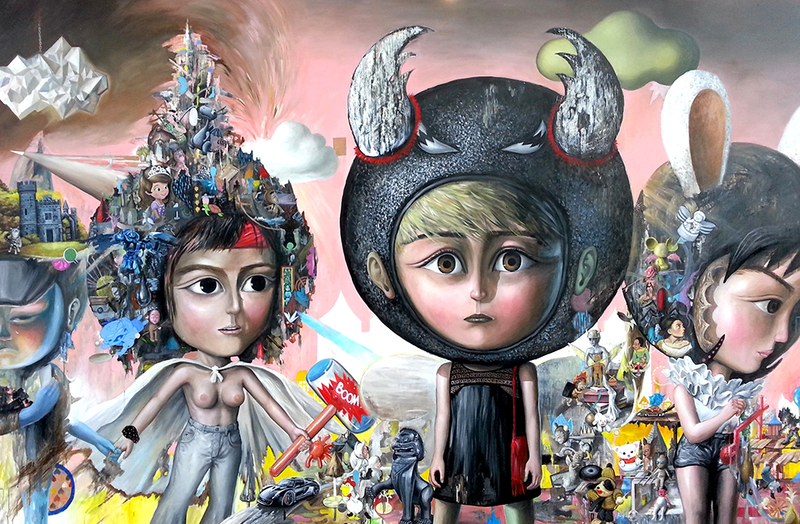 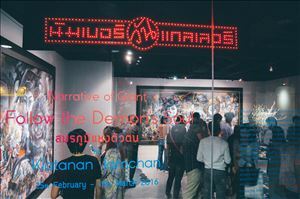 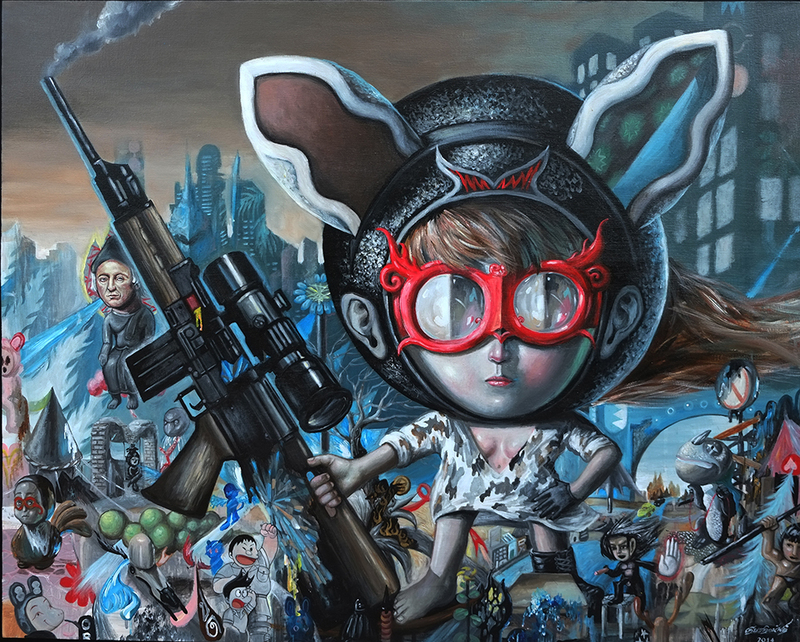 The artist has been consecutively exhibiting his artwork in both Thailand and International. 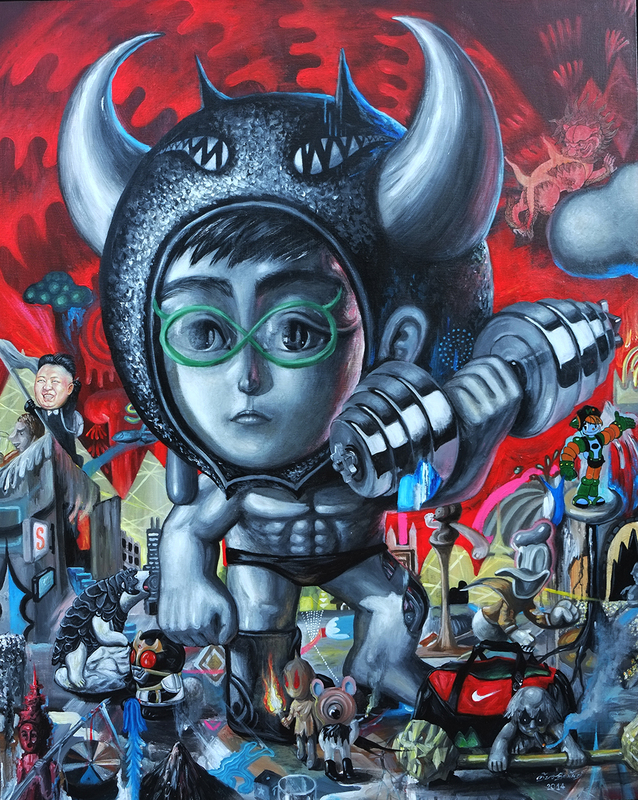 In 2005, he received a scholarship from General Prem Tinsulanont statesman, He has received many rewards such as the Winner from the 8th Panasonic Contempory Art Exhibition, the secovundspecial Prize from krungthai bankok. 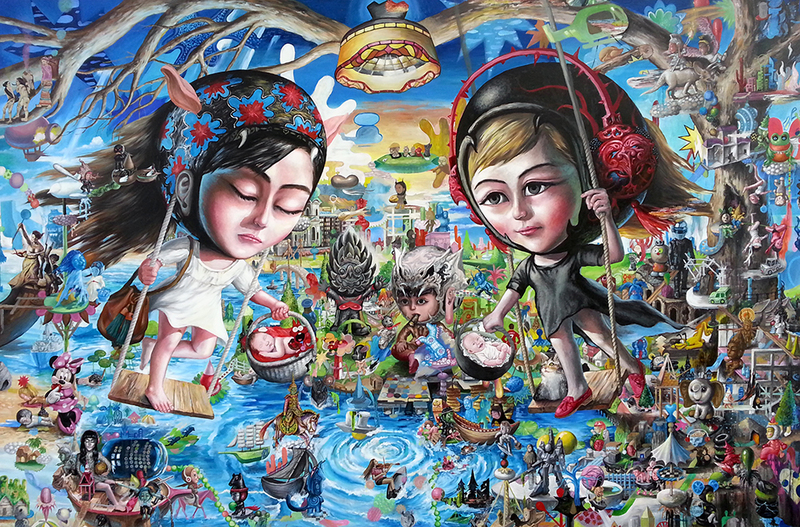 and 2009,he also received gold medal from the 55th National Exhibition of Art.